The planet is entirely whited out in the next frame, with the side that was struck by the superlaser already beginning to explode. This shows us several things, namely that the strike lit up the planet in places across the horizon from the impact point but did not disturb the atmosphere doing so, as the cloud patterns are not disturbed by it. Furthermore, the clouds are lit up from above, including on what little we can see of the night side of the terminator line. I believe that this absolutely rules out atmospheric ignition, ionization, or any other plausible source of the light because those things would visibly disturb the atmosphere. The light is too widespread on the planet to be reflection of light from the shot as well, as it extends well over the horizon from the impact point. 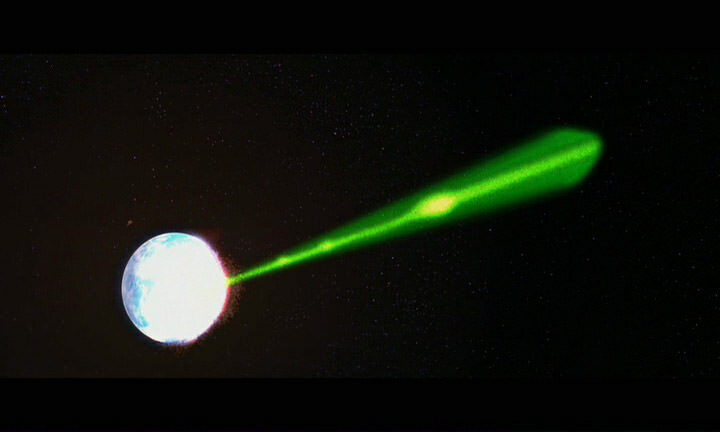 Combine with the fact that we know planetary shielding to be a technology that the Empire has in the Disney canon thanks to Scarif (a shield which Rogue One pointedly showed the Death Star casually penetrating with a low powered shot), and I believe this points fairly conclusively to the presence of a planetary shield. So my question: Is there any further supporting evidence in the new canon? 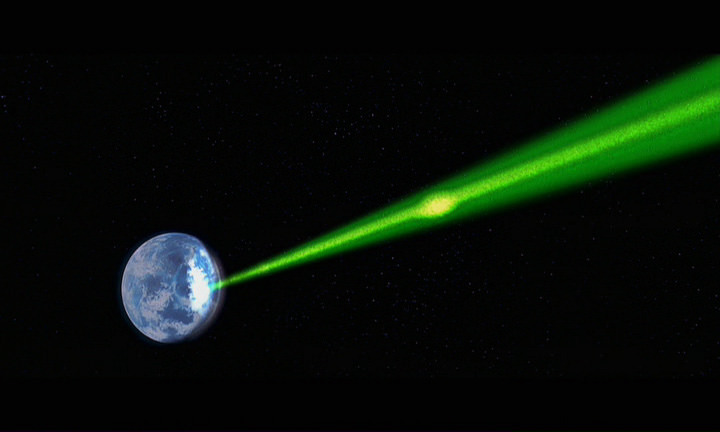 I don't know that Alderaan's destruction has even been revisited yet, and I'm faced with a bunch of Trekkies who insist that Darkstar's interpretation of the scene is correct and that there is no other evidence of the shield in current lore. You could look, I suppose, at Rogue One, specifically say Jedha and Scarif, and compare the effects. Neither are quite the same as Alderaan for obvious reasons (the planets aren't destroyed, and planetary shields aren't involved other than perhaps Scarif). But on the other hand... high quality digital images? The Rogue One novelization specifies that the Persecutor's impact with the Scarif shield gate created a momentary opening in the shield, allowing for transmission of the plans. It was the Death Star that dissipated the shield when it fired on the base. The film doesn't show us either way, since the shot isn't viewed from orbit, but rather from the surface. 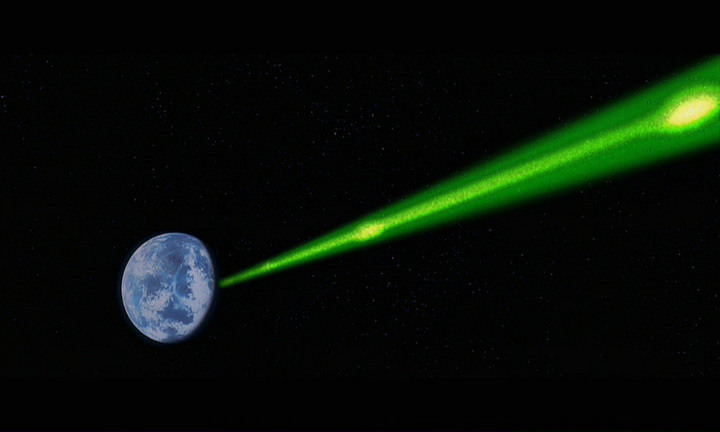 IIRC Alderaan is still considered one of the founders of the Galactic Repuclic (and if not at least a very important major system). Also Scarif proves beyond any reasonble doubt that planetary shields do exist, also none the character react to scarif having a shield with "oh wow, didn't know such tech existed" or words to that effect which suggests planetary shields aren't exactly rare or exotic. 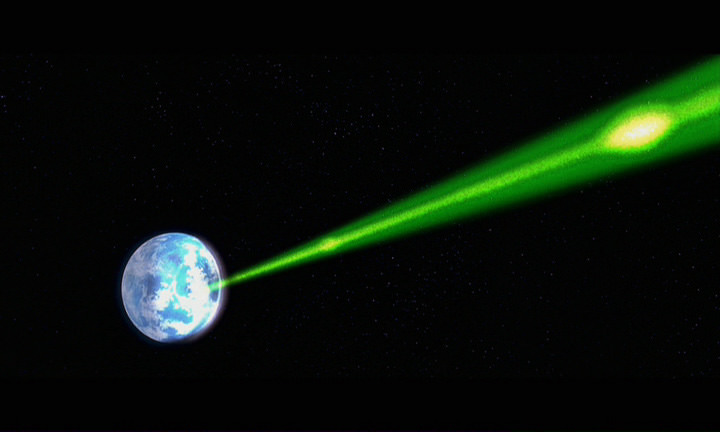 While none of this is direct evidence that Alderaan has a shield, it certainly supports the idea.